Nominal capacity (Watt) of the converter may not be exceeded in any case! 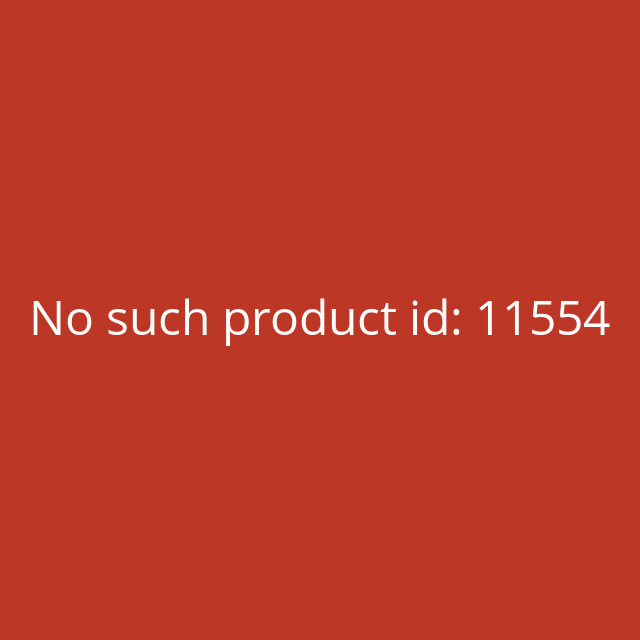 For the operation of a daytime LED system a LED converter is required. 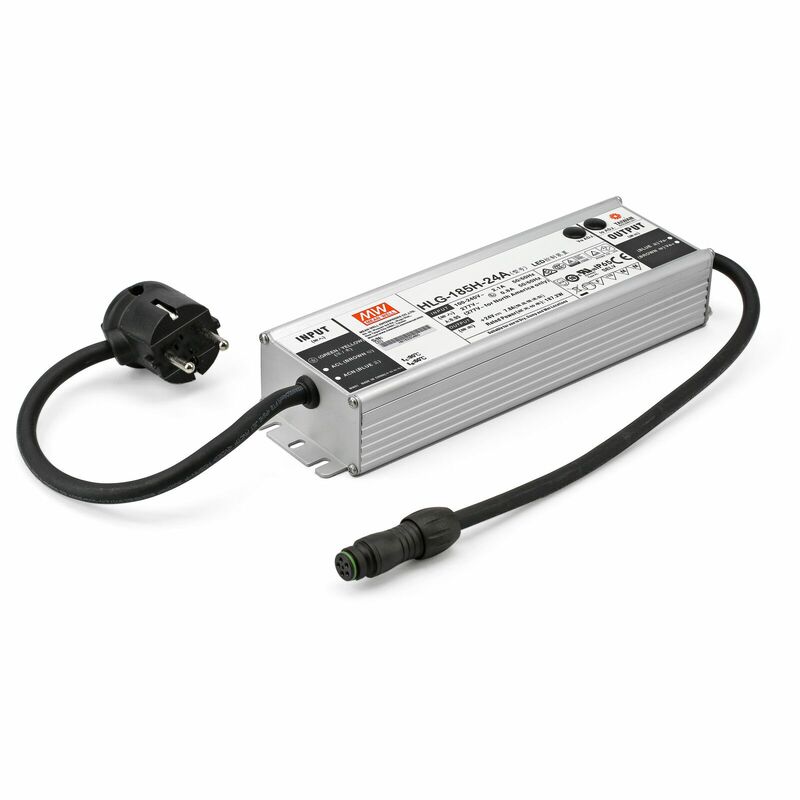 These converters are safety extra-low-voltage power supplies in accordance with DIN 61347-2 to operate the daytime LED systems. These 24V Converters are only suitable for the matrix series - not for eco, cluster & cluster CONTROL! Note that the sum of the LED lighting power of devices connected to a converter matrix-lamps may not exceed the nominal power (Watt) of the converter. If you, for example, have four LED-modules with 10W each (40W total nomimal power) installed in the lamp, you need the converter with 40W. 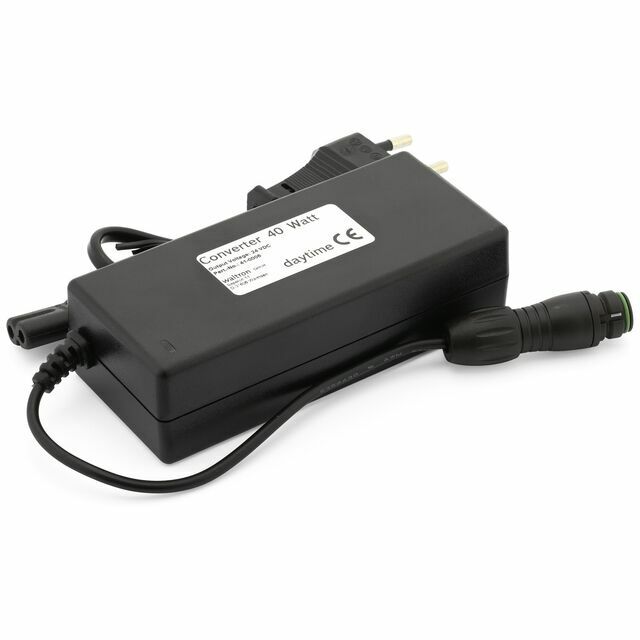 But if you have five LED-modules (50W total nomimal power), the 60W converter is required. 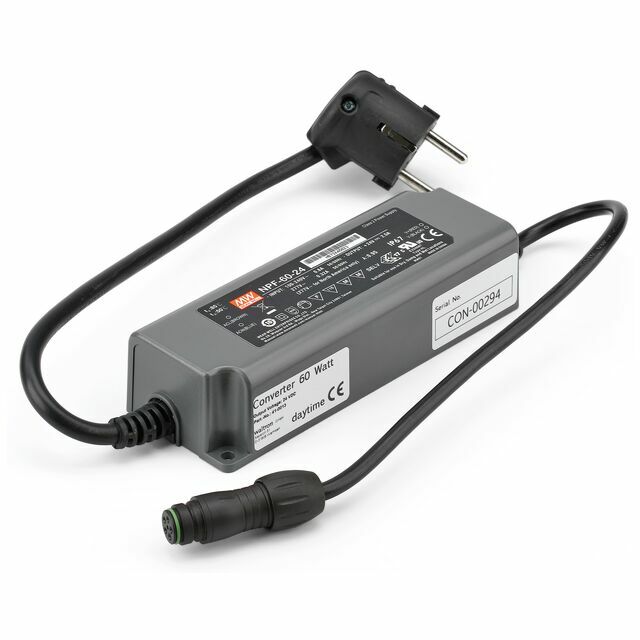 There is no problem if the lighting power is congruent with the nominal power of the converter. So you can e.g. easily operate six LED-modules with 10W each (60W total nomimal power) operate with a 60W converter. When two lamps are operated using a Distributor on a single power supply unit, the total nominal power of the lamps may not exceed the rated power of the converter. So, for example, for two lamps with two LED-modules each (20W nominal lamp power / 40W total nominal power), a 40W converter is required. Bin mit dem System sehr zufrieden. 1. Die Länge passt auf mein Aquarium, ist sehr variabel. 3. Lichtfarbe, Lichtstärke lassen sich durch die Auswahl der Module verändern. Habe meine Module nachträglich verändert, bin sehr zufrieden. Schade, dass die Converter so teuer sind und nicht außer "Stom liefern" können. Wertiges Gehäuse aus Leichtmetall. Meiner Meinung nach sehr kostspielig.